How can the Deciphered Version be the Third Secret when the Congregation of the Doctrine of Faith released the official “The Bishop dressed in White” version on June 26, 2000, in the report titled The Message of Fatima? This is a question often encountered by those who believe that the Vatican could never be dishonest. As we described here, this document had to be written by the Father of Lies since it undermines the entire meaning of the messages of Our Lady of Fatima, especially her warning about a coming Chastisement if her requests were not heeded. From the very first to the last sentence of that report there are false statements, fabrications, half-truths and lies. Nonetheless, nearly everyone bought it. Satan did a remarkable job by the fact that almost all articles and books written about Fatima in recent years, say that the “Bishop Dressed in White” is the Third Secret. Even traditional Catholics have accepted this false assessment, knowing that Sister Lucy’s real secret was reported by credible Church authorities as being much shorter and written in the form of a letter. This confusion is only possible because these writers and traditionalists cannot face the fact that the chief principle of Fatima has become this: The progressivist Church is the enemy of Fatima. The “Bishop dressed in White” document is all about diverting attention from the true message of Fatima. We know that it is not the true Third Secret. It is enough to look at the facts. 1. It has been documented by the real Sister Lucy and those of the Church Hierarchy who have read the true Third Secret that it had about 25 lines in length, written on one sheet of paper (see here). The Vatican’s version is very different, since it is written on four sheets of notebook paper. 2. The Vatican text does not contain any words of Our Lady; rather it contains a vision. 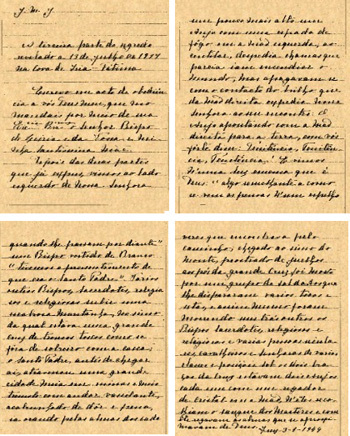 But according to a Portuguese news agency, "Sister Lucy wrote down the words which Our Lady confided as a secret to the three little shepherds in the Cova da Iria." (A.N.I. in Rome, February 8, 1960). 5. Also confusing was the declaration of Card. Angelo Sodano that the decision of John Paul II to make public ”Bishop in White” secret should bring an end to the discussions about Fatima. In fact, on May 13, 1917, Our Lady said to the three seers that she would continue her revelations in the future. Indeed, she said: “I have come to ask you to come here for six months on the 13th day of the month, at the same hour. Later I shall say who I am and what I desire and I shall return here yet a seventh time.” The seventh apparition did not take place yet. 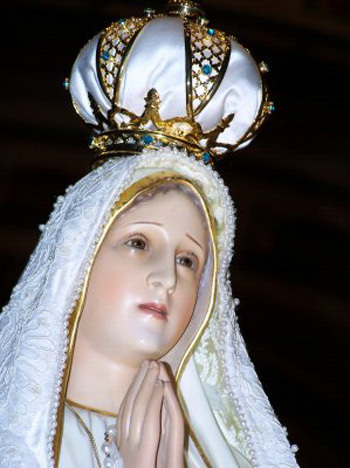 So, in Sodano's eagerness to close the Fatima message, he ignores the coming message Our Lady stated that she will give us in the next apparition. Fatima is not a "closed story." 6. 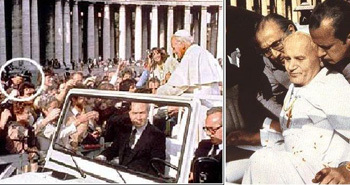 Sodano affirmed the “Bishop in White” vision refers to the 1981 assassination attempt on the life of John Paul II. In that vision, the Holy Father is killed, along with many other religious on a mountain top by soldiers. However, the fact is that John Paul II was not killed, but wounded and lived more 24 years. He was shot in St. Peter’s Square by a lone gunman and no other persons were injured. Therefore, this event did not fulfill the vision as claimed by Card. Sodano. The lack of any previous evidence that Lucy also saw the future of the Holy Father is another element that plays against the veracity of the “Bishop in White” text issued by the Vatican, which pretends that the text was written by Sister Lucy. These are some reflections I offer the reader to show that the “Bishop in White” text is a bogus Third Secret.